Josh thinks the ending would divide a lot of people but he really likes the ending. Rob wonders if Jack Bauer is going to be okay and if we would see him again. Josh says Jack is a waking curse and the death of Audrey should drive this point. Josh also thinks that this is not the end of 24 but if it ends here, it ends here and it works. Josh says it doesn’t bother him that the ending is too similar to Season 5 where Jack goes off with Cheng. The show has been an exercise in repeating itself for four seasons now. It’s been playing its greatest hits for quite a while. Josh thinks the show’s creators have chosen to just torture Jack at every turn because the viewers keep watching and it’s what we like. Josh doesn’t think the world, the Hellers and Jack Bauer all would have been better off if Jack would have just stayed where he was and not reared his head here on Day 9 of 24. Jack is the only one who can take out Cheng. No one else is going to be able to do it because Jack knows Cheng. Rob thinks otherwise. If Jack doesn’t show up, Margot Al-Harazi has the override device. She gets all of her drones and Cheng never gets the override device. Josh thinks Rob underestimates Cheng and if he wants the override device, he gets it no matter what. Josh supports the show’s decision to kill off Audrey because it gives us some great moments like Heller’s speech and Jack cutting Cheng’s head off with a samurai sword. Josh says it would have been better if Kate made a split-second choice to save Audrey. Rob says Cheng is getting angry and Mark Boudreau is getting upset. Jack decides that they need to go after Audrey but he also needs to go after Cheng so they end up letting Kate save Audrey which is not a good choice. Rob mentions President Heller calling up President Wei. President Wei is not happy about the destruction of the Cavalry. Chloe is working with Jack and she apologizes to Jack about everything. Jack and Belcheck set Chloe up in an office. Jack and Belcheck kill the guys left and right. 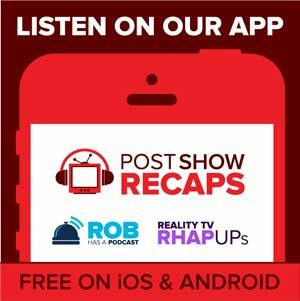 Rob and Josh agree that this episode is very action-packed. Cheng gives the order to kill Audrey. Josh finds it plausible that Kate Morgan is able with her pistol to take out the sniper. Cheng realizes that Bauer is there and he and his guys decide to leave. Audrey and Kate start to make their move but a car comes around the corner and Cheng’s backup guys fire on them. Audrey looks down and realizes that she’s been shot. Kate calls Jack Bauer and tells him they lost Audrey. Jack takes the pistol out of his holster. Rob and Josh think Jack is considering suicide. Josh mentions that this is not the first time Jack has suicidal tendencies. Jack eventually wakes up and snaps back to business mode. Jack goes on a rampage and kills guys with pistols. Rob narrates how Jack and Cheng have a fistfight for a little bit. Jack Bauer gets the upper hand and President Heller gives the permission to engage. They review nuclear response scenarios and Jack informs President Heller that he has Cheng. Jack issues the sentence and carries it out himself. Josh is satisfied with how Jack killed Cheng with a samurai sword. Rob thinks it’s a very quick death after what Cheng did to Jack and Audrey. Rob mentions president Heller being informed that Audrey is dead and President Heller couldn’t believe it. Jack Bauer comes out and finds out that Chloe is not there. Rob thinks it’s a sad ending for Kate Morgan turning in the badge and walking away. Josh thinks Mark turning himself in is a rough ending. Rob thinks that the Russian guy Mark was dealing with had ties to Cheng and is somehow an accessory to Audrey’s death. Rob mentions the Russians trading Chloe for Jack Bauer. Jack and Chloe meet in the middle. Jack tells Chloe she’s his best friend and asks her to look after his family.